We’ve got the latest information on one of KFC’s long running family meal deals – the Streetwise Dinner Box! While it’s not advertised on the menu, you’ll be able to get this offer at most stores by asking. 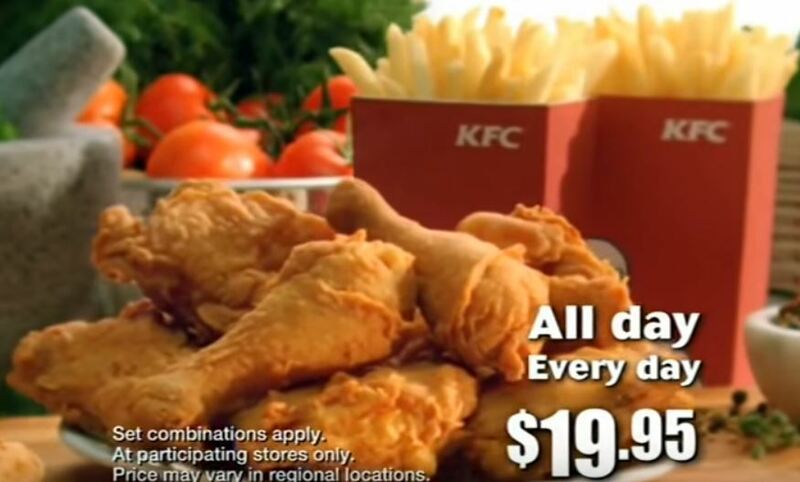 Also available is the $19.95 Streetwise Feast with 6 pieces of chicken, 3 Original Tenders, 6 Nuggets and 2 Large Chips. Streetwise DInner Box at Treendale near Bunbury WA today 3 September 2007 says it is $23.95 – a waste of time and fuel when website is out of date.